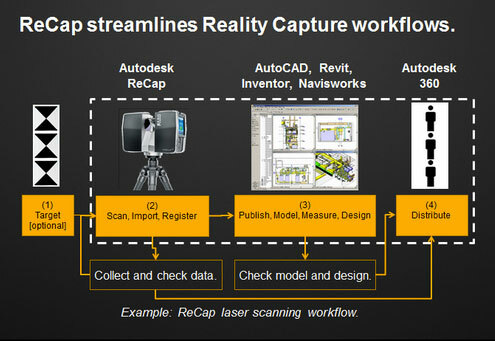 Reality Capture Software for 3D Documentation Capture and integrate reality directly into your design process with ReCap™ reality capture software. 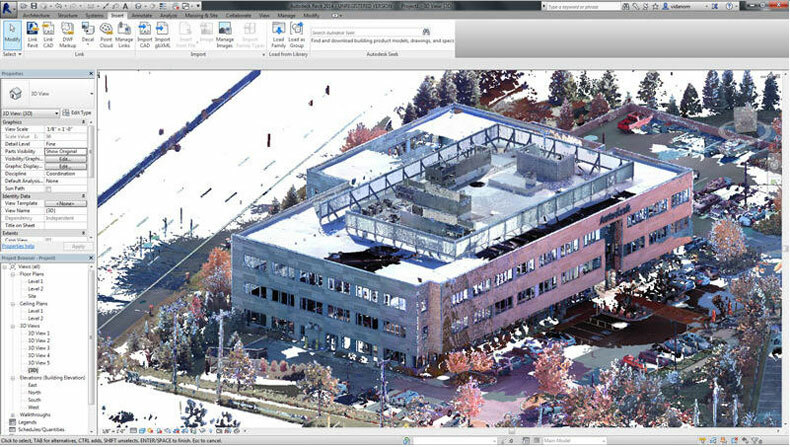 ReCap point cloud and image-based 3D modeling software and services work seamlessly with Autodesk design and creation suites, so you can start your design with accurate dimensions and full photo-quality context rather than a blank screen.Recap can be used by capturing real-world photos and submitted through Autodesk Cloud services using Recap 360 and its available to be used in AutoCAD and Revit environment. Recap can also use 3D scanned datas for a more accurate data capture. You start with the welcome screen and can immediately create a new project to add your 3d scanned data or import several images using nothing fancy as your everyday images from your pocket camera and submit it to be processed via Autodesk Cloud services. 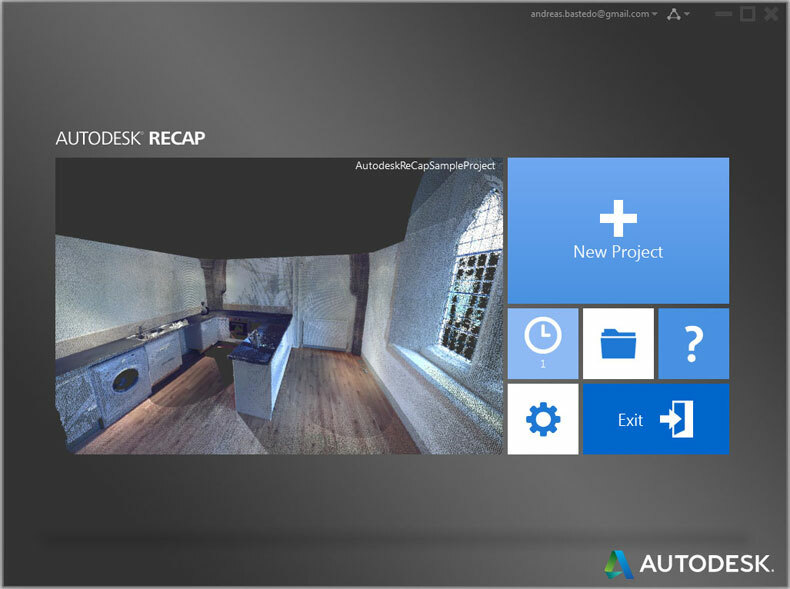 you can see how your scanned data from Recap is being used in Autodesk Revit.to see more information, go to Autodesk Recap website page here.